What's going to happen to my Email Newsletters? 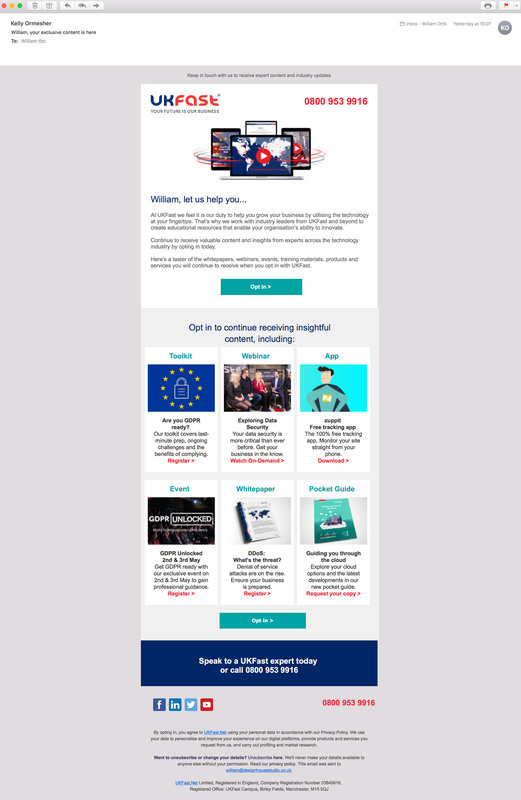 GDPR might seem like a brutal death blow for your email newsletters, but if you ask me it’s going to be awesome. I’m dreaming of an email utopia… a Monday morning inbox containing only the most vital messages to sift through. But this isn’t about me, this about you and your email newsletters. You’ve spent decades accumulating email addresses from various sources, and now you’re worried that the GDPR police are gonna leave a bloody horse head on your pillow the next time you send out a special offer to your database. When your loyal customer clicks this button they’ll be added to a new list (presumably in Mailchimp or Campaign Monitor) and this will become the basis of your ‘post GDPR’ super clean and compliant email list. Standard open rates for marketing emails are around the 20% mark if you’re lucky. 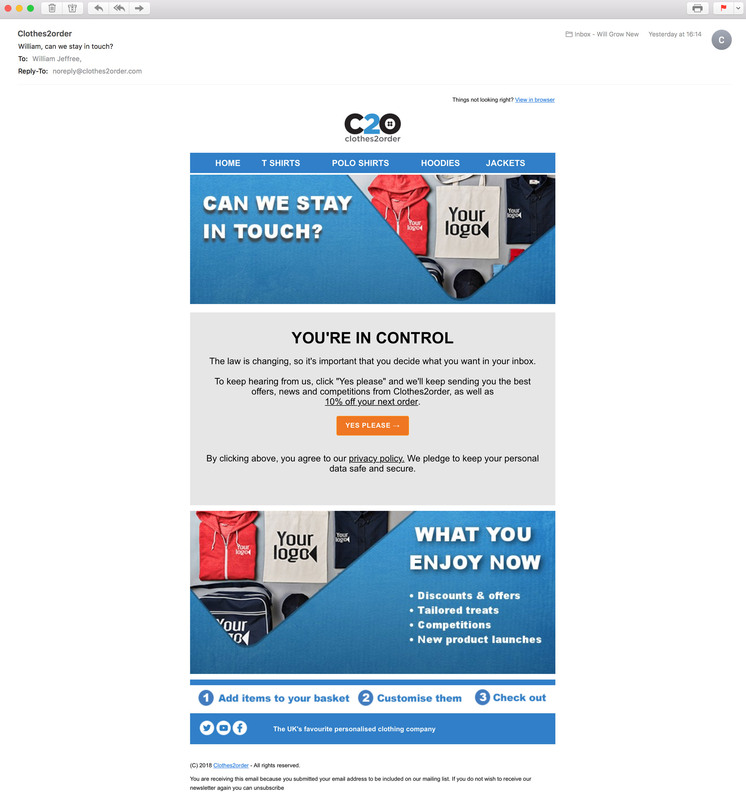 The click rate from within the email is lower still – and that’s when you’re giving them a voucher code or freebie. Ask a customer to click a button to REMAIN on an email list… blimey, the numbers are going to be bleak. BUT, there’s a big silver lining here. Even if you lose 90% of your newsletter list, the 10% that you retain are going to be highly focused, and far more likely to engage with your future email newsletters. Let’s call it a long overdue trimming of the fat. You’ve still got a bit of time to send out these pleading, needy emails before the 25th May. But once that day has come and gone you’re going to have to delete that old database of names and concentrate your efforts on the new, clean, and fully consensual list. It’s worth noting that some companies are NOT doing this. 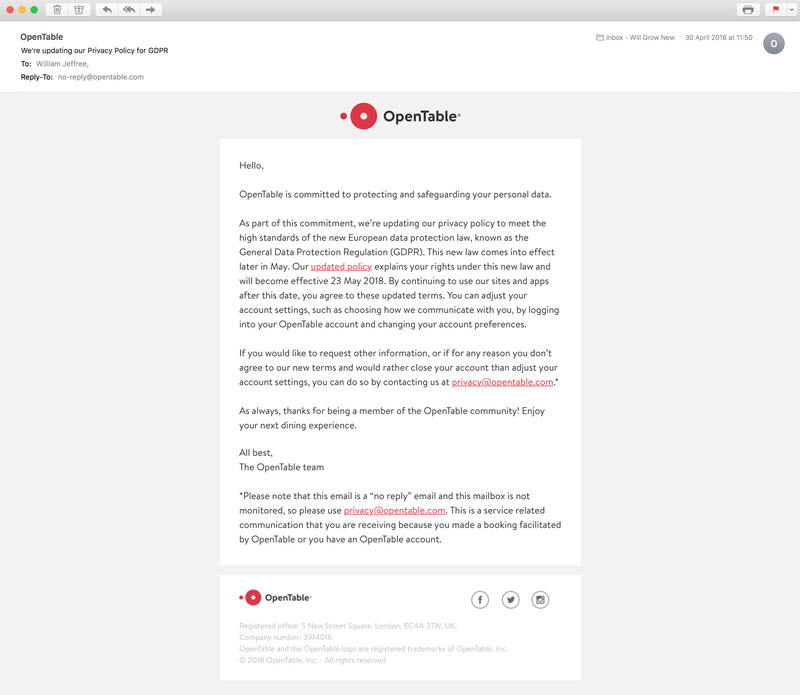 They’re just saying things like “if you continue to use our service, you’re by default giving consent” but these are companies like Open Table and Twitter, who have people constantly logging in/out of their service via a dedicated app. These people are adhering to the app’s terms and conditions upon entry, and as such are handing over communication consent on a daily basis. These apps will also have user dashboard areas where communication settings can be adjusted if needs be. 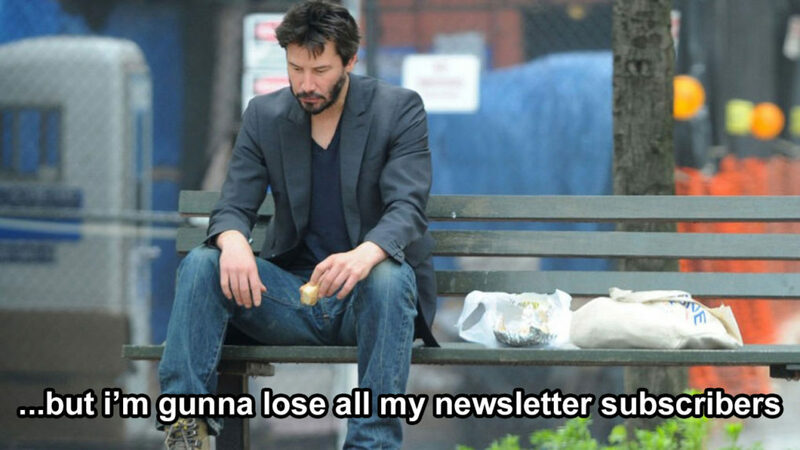 The end of email newsletters? There are more and more companies that are doing away with email newsletters entirely. With all this new regulation and ever dwindling open rates, it’s hardly surprising that some people are just giving up on this tired old format. Did you know that Wetherspoons has completely abandoned direct email communication with it’s customers? And that’s quite interesting considering the size (and age) of that particular institution. The format of email marketing has barely changed in the last two decades. Maybe now’s the time to start using that brain box a bit more, find more interesting ways of engaging with your audience, and leave the emails alone unless you’ve really got something important to say. You live in a world that’s saturated with interesting channels of digital communication, and the ever evolving landscape of social media allows for great ingenuity if you’re prepared to go the extra mile. Clinging to this email newsletter format, or refusing to embrace newer channels of social media communication could speak volumes about who you are as a business. If you feel like GDPR is too harsh a blow to your direct marketing, this could be the time to cut the cord.